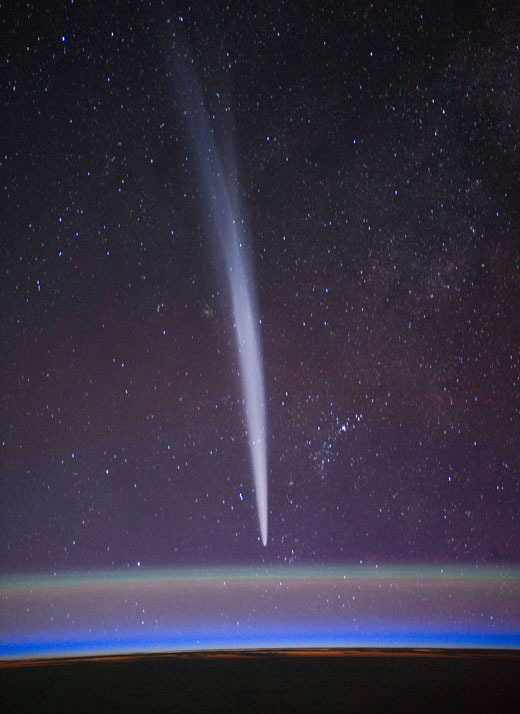 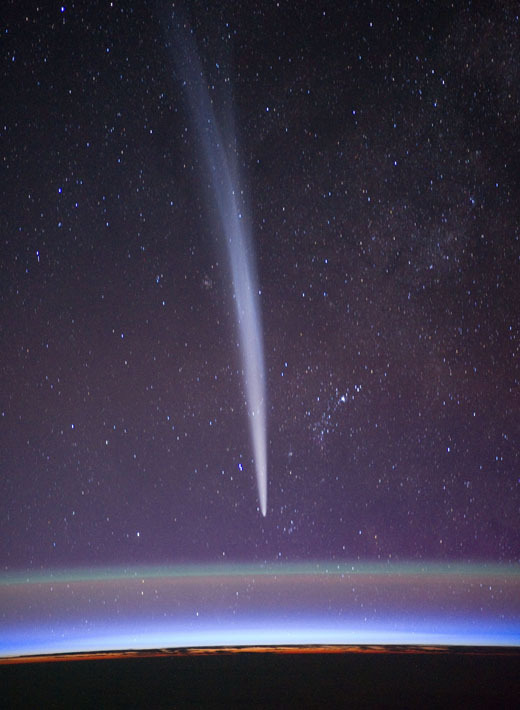 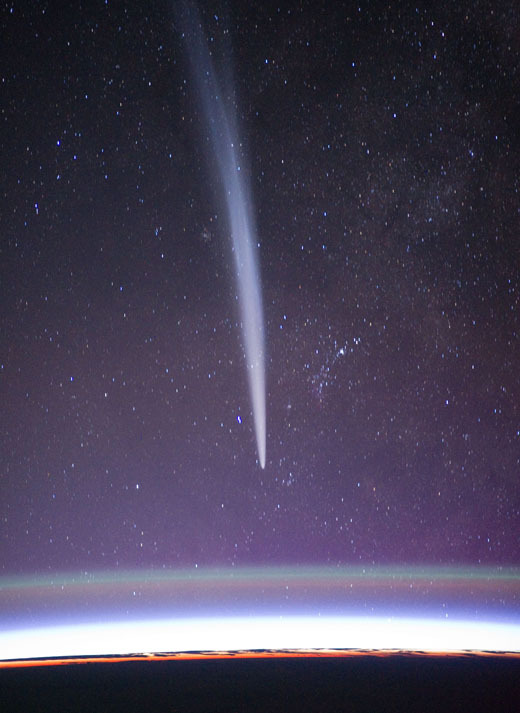 The International Space Station's commander has again seen the grandeur of comet Lovejoy in new pictures taken from the orbiting outpost, this time also capturing the Earth's horizon and background stars in exquisite detail. 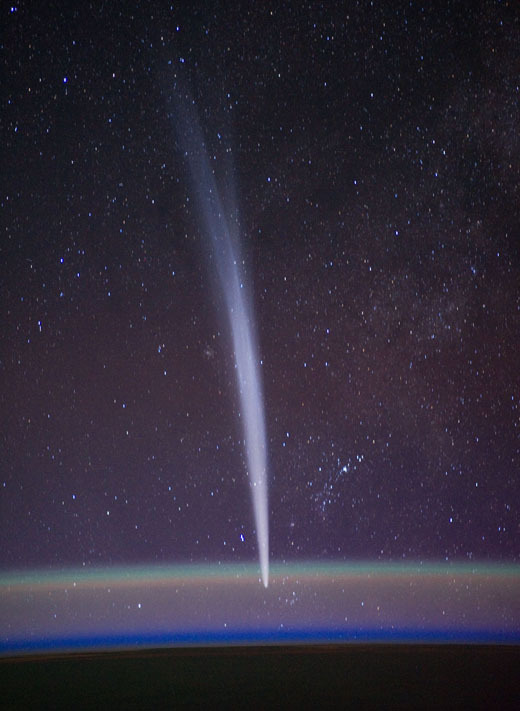 These shots were snapped Thursday, two nights after NASA astronaut Dan Burbank serendipitously witnessed comet Lovejoy rising from behind the Earth as the station orbited 250 miles above the planet and the following night after producing this pictures. 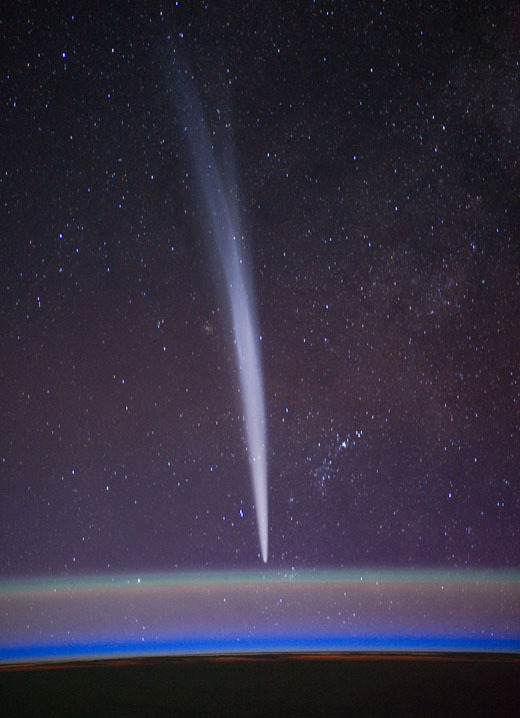 Spaceflight Now+Plus subscribers can download and save the stunning high-definition television video of the comet encounter.